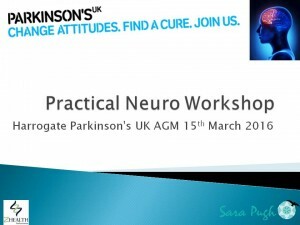 I’ve not written a blog here for a while, however here is one on Parkinson’s Disease as I work a lot with people with this conditions. 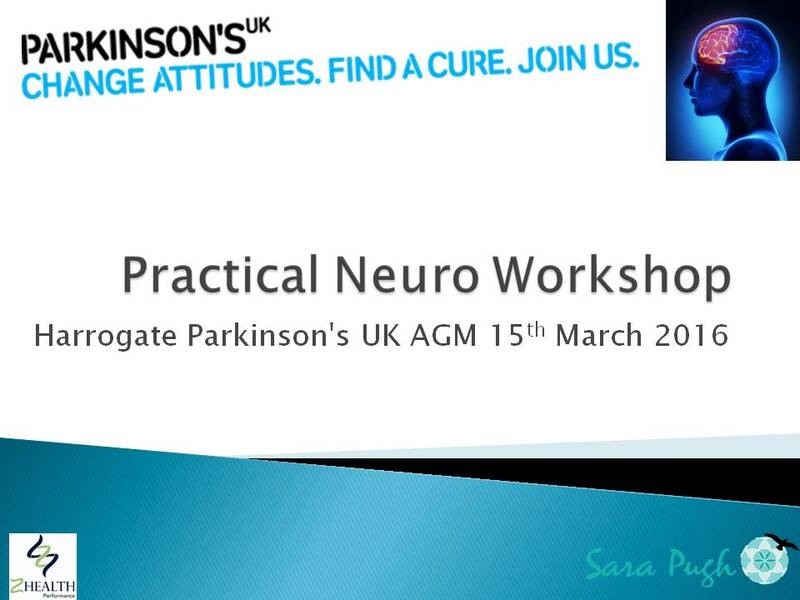 As Vlogs are becoming more popular I have included a video on a session I did with the Harrogate Parkinson’s UK group this August, I know the group reasonably well, therefore it is not a presentation, more of a conversational session. I was fortunate and honoured to be invited back as I did a session earlier in the year at the group’s AGM, I will include this video next time. The video you have today is pretty much unedited, apart from some of the ‘naughty jokes’ that I was told by the group combined with my own rude sense of humor ! Laughter is so important for us all, particularly those with PD. This blog is more about exercises for people with Parkinsonian symptoms rather than the condition itself, and these exercises are of huge value for those who are just interested in improving their own nervous system. These exercises are for everyone, but are particularly helpful for those with PD. Just to run over a bit of neurology as I kept the video simple in terms of the science behind why I chose to use certain exercises. Working with the shoulders is a way to stimulate the midbrain and the intermediate cerebellum. 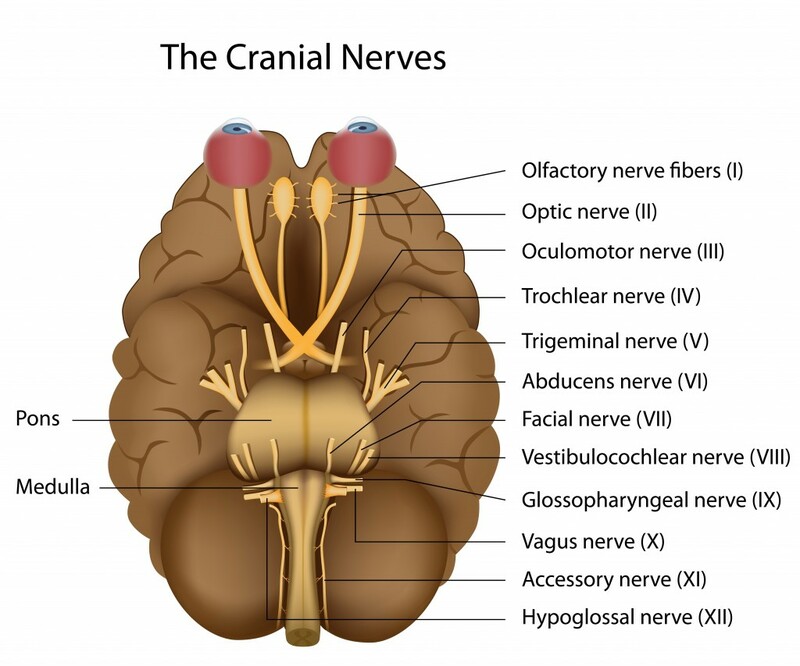 Convergence which is going cross eyed, stimulates cranial nerve 3 which is in the midbrain.